It can be challenging (and pricey!) finding the perfect gift for all your favorite people. My go-to strategy? Go the self-care route. Not only does everyone appreciate the gift of a good hair day, it’s a great opportunity to gift someone a fun mask or new hair tool that perhaps they wouldn’t buy for themselves. Here’s a round up of some great gift ideas! We’ve all heard how repeated use of heat tools can wreak havoc on hair. 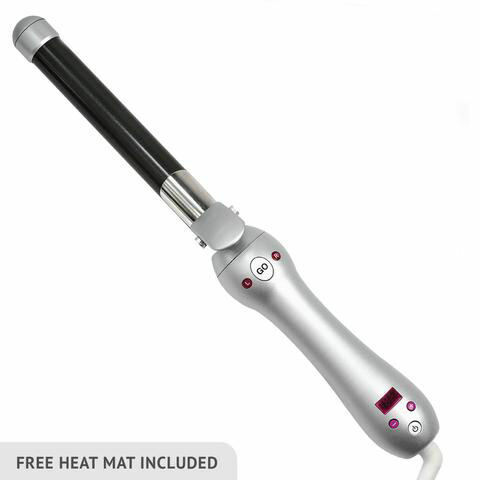 The Agave Healing Vapor Iron is one step ahead of the average flat iron. Not only can you straighten, wave, or curl your hair, but the iron infuses hair with a vapor infusion designed to seal in moisture and eliminate split ends and frizz. Sephora has done it again! 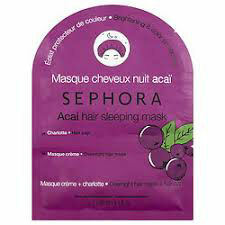 These convenient overnight hair masks come with the treatment and an overnight cap. The mask comes in four varieties and makes the perfect stocking stuffer. 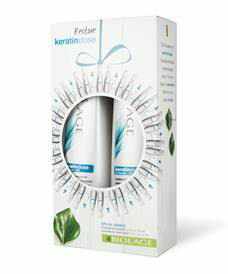 This duo, made with Pro-Keratin and silk, is the perfect remedy for color-treated, weak, or damaged hair. As someone who colors her hair regularly (and blow dries daily! ), this is hair lifesaver. Created by celebrity hairstylist Sarah Potempa, the Beachwaver Pro is the no stress, easy-to-use rotating curling iron that works with the touch of a button. Not only is it easy to use, but was a staple at past Victoria’s Secret Fashion Shows! 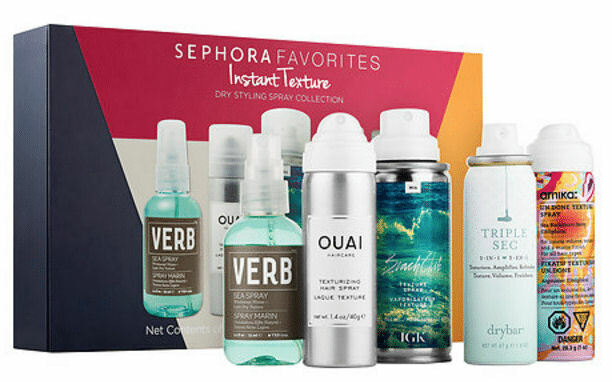 The limited edition Sephora Favorites gift sets is a gifting must! It gives the recipient the opportunity to try out a whole host of hair products and brands and is versioned by hair type. Collections include: Big is Back, Tame Your Mane Frizz Fighting Stylers, Instant Texture, Hydrated Coils, Smooth and Shine, and more. If you’re not sure what products your loved one needs or wants, you absolutely can’t go wrong with a gift card to one of the many blowout bars in the city. Whether it’s Drybar, Blo Blow Dry Bar, or DreamDry, a professional blowout is a guaranteed way to have a perfect hair day.